During the Chicago stop of the Paganfest America Part IV tour on April 13, I interviewed the lyricists of the three headlining bands. I long ago posted my interviews with Joris Boghtdrincker of Heidevolk (Netherlands) and Sami Hinkka of Ensiferum (Finland), and I’ve now finally gotten around to transcribing the recording of my interview with Heri Joensen of Týr (Faroe Islands). 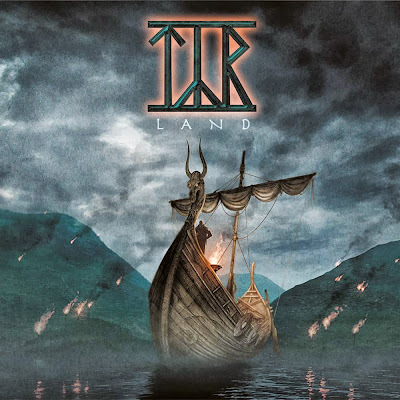 Founded in 1998, Týr released How Far to Asgaard – the band’s first full-length album – in 2002. Since then, they have released Eric the Red (2003), Ragnarok (2006), Land (2008), By the Light of the Northern Star (2009), The Lay of Thrym (2011) and Valkyrja (2013). Týr is known to fans of so-called Viking metal, pagan metal and folk metal for blending harmony guitar parts with harmonized vocals, for adapting and arranging traditional Faroese melodies, and for basing lyrics and imagery almost completely on Norse mythology, legend and history. 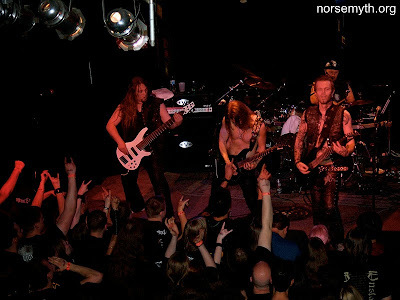 The band is also known for promoting openly pro-heathen and anti-Christian messages in their lyrics, videos, album art and commercial products (t-shirts, banners, etc.). 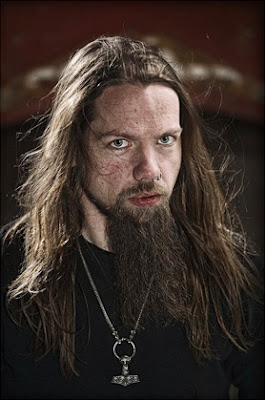 Frontman Heri Joensen himself is known for controversial statements in interviews and on discussion boards. Although I do not agree with many of his positions, I felt that it was important to give him a chance to clearly address some of the issues that have been raised by his previous proclamations. However, some of what Heri says in the following interview seems to directly contradict text currently on the Týr website. Some of what he says seems to directly contradict the content of the band’s artistic statements. He was given every opportunity to explain himself during a very long and relaxed interview. There was no language barrier; Heri is completely fluent in English and expresses himself quite clearly. The following transcription represents what Heri wanted to communicate to readers of this site. I leave it to you to make your own judgements. Note: This is Part One of a three-part series. KS – For readers who may not be familiar with the history of the Faroe Islands, can you explain how the Faroes were settled? HJ – The first – maybe not the first, at least the present settlers in the Faroes – were Norwegian Vikings. They came around 870s, I think, 875. It’s difficult to say precisely when. There were people in the Faroes before that. It could have been anybody; they don’t know. At least we who are there now, came then. 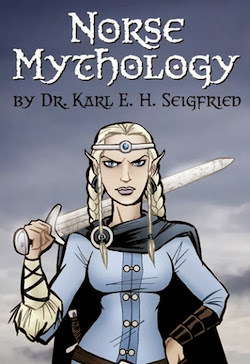 Recent genetic studies have shown that about 80% of the men have Nordic genes, while the women have about 80% Celtic genes. KS – Similar to Iceland. HJ – Yeah, same as Iceland. They came to Scotland first – or the British Isles – and then married local women, went to the Faroes. The strange thing is that, in the Orkneys and Shetlands – where there is also Scandinavian heritage – they have around the same ratio for women and men: 60-70% Scandinavian, I think. Which means the Scandinavian men have had to marry local women, have had to move further north – which is strange. But it also shows that the Vikings were sober, because they only took the beautiful women. Ha! KS – What elements of the Viking Age worldview do you think still play an active role in the psychology of contemporary Faroese? HJ – That’s really hard to say. There are some concrete examples, actually. The law system, for example, and many old traditional systems like whaling, whaling distribution. It’s this communal thing. Laws and customs concerning agriculture and farm animals and stuff like that. Of course, it’s been modernized in many cases, but you don’t really throw everything away, ever. You sort of build on what you have and then what’s useful, and go from there. I guess you could say, in the practical aspects of living there, there’s a lot of things that are directly from the Viking Age. As for the mentality of the people or anything like that, that’s really difficult to say. I’ve often thought about it. How much do we know about what people were like then? How life was like? I think that’s difficult to answer – for me, at least. I couldn’t tell you right now. KS – What do you think would change in the lives of individual Faroese if they gained full independence from Denmark tomorrow? HJ – Nothing. Well, we would have a few more posts on the national agenda, and that’s it. We would take care of our own currency, which would probably continue with the Danish krone or with the Norwegian, maybe. Maybe go to the euro. I don’t know. It’s all just practical issues. KS – So why do you think it’s so important? HJ – Because we were never asked. It’s the principle of democracy. If we got our independence and the very next day decided to be part of Denmark, at least we’d been asked. KS – As a free partner. HJ – Yeah. Which it’s not, at the moment. Nowhere in the whole history did the Faroese people decide to be a part of Denmark. 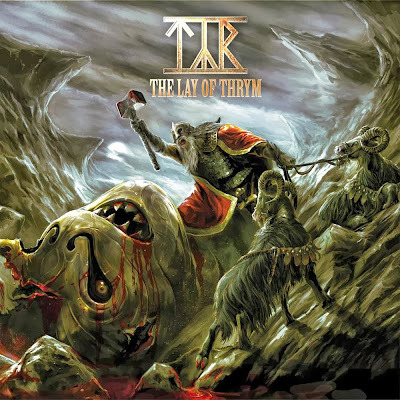 KS – Is this the situation you’re addressing with the lyrics on The Lay of Thrym, in songs like “Take Your Tyrant”? Or are those songs addressing the situation in the Middle East? HJ – That was mostly inspired by events in the Arab Spring. I was not really thinking about actual independence with us. A concept album about Middle East politics? KS – You have criticized anti-whaling activists, most famously in the song “Rainbow Warrior.” How would you explain the Faroese relationship with whaling? HJ – The whale is an animal like any other animal. They get really kind-of glorified in the modern media, to an extent that I think is completely unreasonable. It’s not like torturing a chimpanzee to death or anything like that. The pilot whale is a very docile and peaceful animal, like a cow. It’s not like you have to fight it to death, like you would struggle with any wild animal. It behaves like a cow. You can hold it with one hand, and it just stays right there. So it’s quite easy to kill them fast and humanely. Also, when you harvest your wildlife… Imagine all the things you spare the planet for, when you don’t have to breed livestock – all the CO2 emissions. You have to feed it, house it, transport it, slaughter it, refrigerate it. Whereas with wildlife, the planet is spared from all those things. You’re still left with the basic thing – you have to kill one animal to eat it. So, if you kill a tame pig or a wild whale – ethically speaking, there’s really no difference. That’s, I think, the main point in favor of eating wildlife. KS – Is it true that you went to Denmark to study Indo-European Comparative Linguistics? HJ – Yes, that is true. KS – Why did you want to study this subject? HJ – I’ve always been fascinated with languages, especially language history. I have one talent, and that is language. Everything else is just stubbornness and hard work. But I got hijacked by music. Ha! KS – Then you went to Det Alternative Rytmiske Konservatorium in Copenhagen. Why is it called “alternative”? HJ – Because there is another one that is subsidized by the state. This one is not, so this is an alternative to that. That’s the only reason it’s called “alternative.” You learn the same things, still. 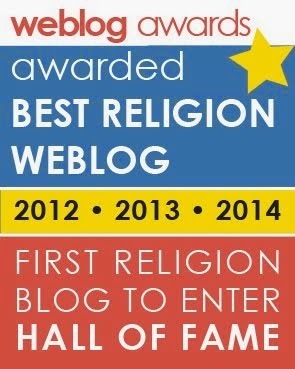 KS – What did you study while you were there? HJ – All the compulsory subjects, plus guitar. You have one instrument, and mine was guitar, of course. Then the rest of the subjects are compulsory – piano, rhythmics, music theory, music history. HJ – There’s no actual composition. You do that mostly through music theory. I got a lot of compositional experience there, but there’s no course called “composition.” My main courses were music theory and guitar. KS – Did you study classical guitar or jazz guitar? HJ – Both, both. Everything. KS – There’s a lot of contrapuntal writing in your music. Did you study counterpoint in school? HJ – Yes. I was very much into Bach. My finishing task – my main thesis or project in guitar – was to compare the way Johann Sebastian Bach and Charlie Parker used leading tones. KS – You mean secondary dominants? HJ – Yeah. Whatever you call it. 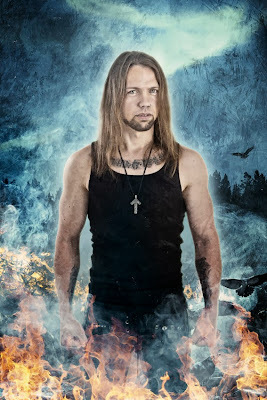 KS – Some of the earlier Týr music has very strong Baroque elements, and the later music has some complicated modernist rhythms. 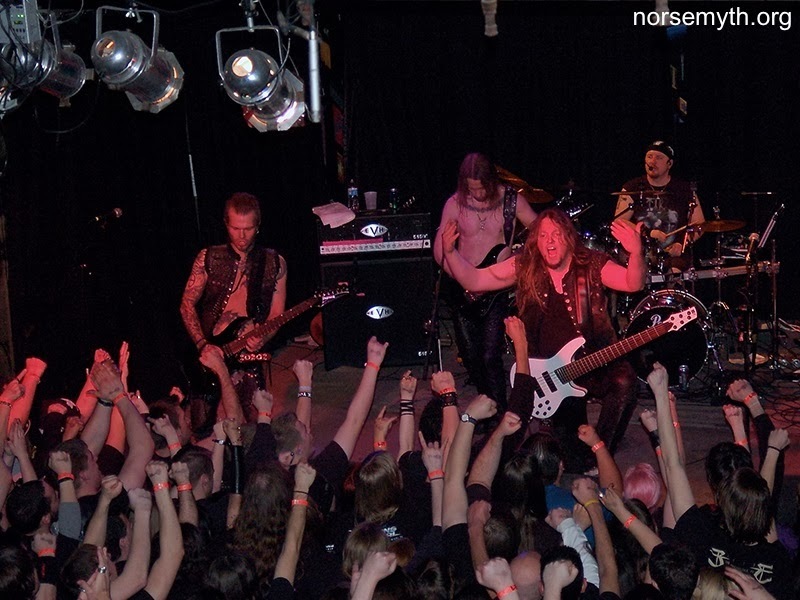 How do you think that your formal musical training interacted with your background in metal? HJ – I always have a very theoretic approach when I write the music. I think, to begin with, maybe it was unnecessarily complicated. If not even I can hear what’s being played, then what’s the point of it? I’m sure I could have got away just as easily with doing it in a much simpler way, which I try to do today. So I think, yeah, this is nice, this looks good in theory – but is it really necessary? So I try to hold back on that. KS – I think the albums are getting more complicated. You think they’re getting less complicated as you go on? HJ – I would hope so! Ha! If not... Ha! KS – Your music often has very unusual rhythmic phrasing, especially as you move forward through your discography. You’ve said before that Faroese folk music has rhythms in odd time. 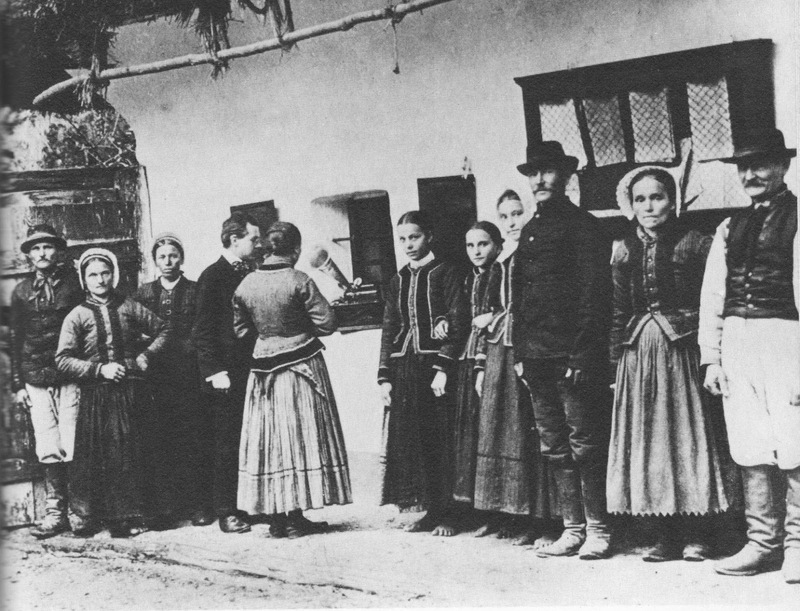 KS – Béla Bartók famously transcribed Hungarian folk music and was inspired by it to write music with very complicated rhythms. He was learning from the folk music. KS – Did your embrace of folk music lead you to the irregular rhythms in your own compositions? KS – Are the melodies determining the rhythms? HJ – Yes, exactly. If I write a piece of music from a blank slate, I always go four-by-four, and I don’t go for the funny rhythms for fun. But when you start with a piece of traditional music, you always have these odd times. That’s where it comes from, in our case. I very seldom come up with it myself.